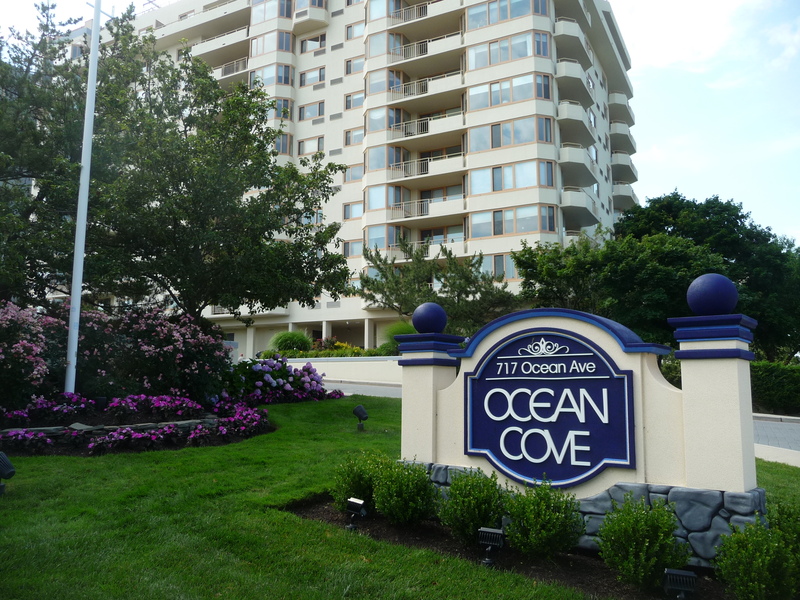 Ocean Cove is an upscale, full-service condominium located at 717 Ocean Avenue in West End. Ocean Cove is a pet restricted high rise community of 129 one, two and three bedroom apartment style condominiums located on the beach in the West End section of Branch. Built in the mid-1980's, the apartments range in size from just over 1700 square feet to over 2600 square feet with an ocean view. The convenient location is within walking distance of West End stores. Ocean Cove represents the epitome of the luxury beachfront lifestyle with its own beach, an inground pool with poolside cabanas and a tennis court. Other amenities include valet parking, a 24-hour concierge desk, a fitness room, social room, library, an underground parking garage and its own restaurant.